Ready to sell your diamond or gold jewelry now? Contact Boston Estate Buyers, your premier jewelry buyers located in Boston MA. in the historic Boston Jewelers Building. We are also A+ BBB accredited business, so you can sell with confidence. Boston Estate Buyers will come to your home, office or bank to provide an accurate jewelry appraisal for you, including estate and antique jewelry appraisals. We also offer loans against jewelry including antique and fine jewelry. If you need money and do not wish to sell your jewelry, please call 617-523-1193 or email to set up an appointment to have your jewelry evaluated and inquire about jewelry loans. Boston Estate Buyers services Boston Massachusetts, including the surrounding communities near Arlington, Cohassat, Duxbury, Pembrook, Norwood, and Peabody. To see the full list of towns we service, visit our About page. Visit Boston Estate Buyers in the Boston Jewelers Building in Downtown Crossing, Boston Massachusetts at 333 Washington Street. We offer professional jewelry appraisals and we are jewelry buyers for everything from new and vintage jewelry, to estate and antique jewelry. Talk to our gold buyers if you have any kind of gold or gold jewelry to sell. We are also reputable diamond buyers and offer cash for lose diamonds or diamond jewelry. As reputable jewelry buyers and appraisers, it is our job to know what your jewelry is worth. We are bonded and highly experienced gold buyers and jewelry buyers and will ensure you receive the highest amount for any piece of diamond or gold jewelry you want to sell. Our expert jewelry buyers are licensed and bonded and would be happy to visit your home, office or bank to provide you with a fair assessment. 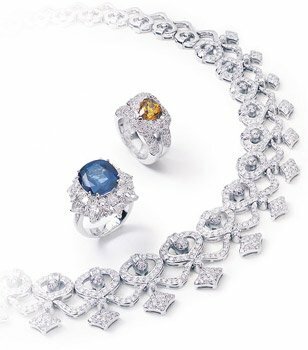 At Boston Estate Buyers we pride ourselves on delivering honest and fair jewelry appraisals. Our jewelry buyers want you to be completely satisfied with your transaction and will pay you the highest amount possible for new, estate and antique jewelry that you wish to sell. That’s our promise. If you are located in the Boston area and wish to sell your diamonds, gold or gold jewelry, give our jewelry appraisers a call at 617-523-1193 and we will be happy to visit you at the time and location that is convenient for you. 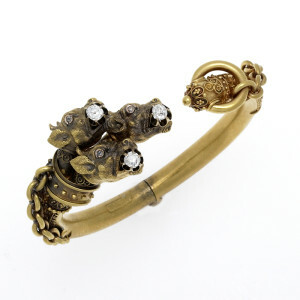 Antique jewelry is something that always seems to be in demand. If you have family heirlooms, vintage estate jewelry or old antique jewelry, whether it’s Victorian, Georgian or Art Deco antique jewelry you wish to sell, give us a call. Only a proper jewelry appraisal will be able to tell the true value of your piece, which will depend on the type, age, and condition of your vintage, estate or antique jewelry for sale. – How do I sell my diamond? – Do you buy diamonds? – What is my diamond worth? Yes, Boston Estate Buyers is a reputable diamond buyer in Boston. Talk to us today if you want to sell your diamond. Whether you have a loose diamond, a diamond ring, a necklace or diamond earrings, our professional diamond jewelry appraisers would be glad to visit and offer you cash for your diamond. One of the most common pieces of jewelry that we buy, and often they are some they are some of the most expensive, are estate diamond rings. Our customers are often quite surprised at how much their antique estate diamond rings are worth! In the last several hundred years, the quality of workmanship and materials that have gone into creating estate diamond rings have been nothing short of amazing. 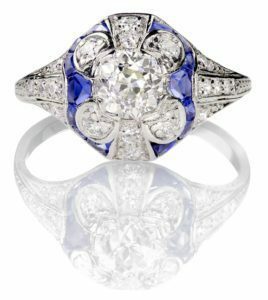 Period pieces like Victorian diamond rings, Georgian diamond rings and Art Deco diamond rings, all can be quite intricate, amazingly beautiful and still very high in demand. And high demand often means you can get top dollar for your estate diamond rings. Talk to our knowledgeable gold and jewelry buyers and get an honest and fair assessment of what your estate diamond rings are worth. Validated parking for our valued customers that we conduct business with at 33 Arch St. Boston. Contact our gold and jewelry buyers today by calling 617-523-1193 or email us. Boston Estate Buyers services towns throughout Massachusetts including Scituate, Sharon, Dedham, Hanover, Norwell, Medford and more.